This project provides three large family homes on a constrained site within the London Borough of Kingston. The unique constraints of this site necessitated a completely bespoke design solution: A large Thames Water sewer runs across the site, meaning a large portion of the site which fronts onto the road cannot be built on. 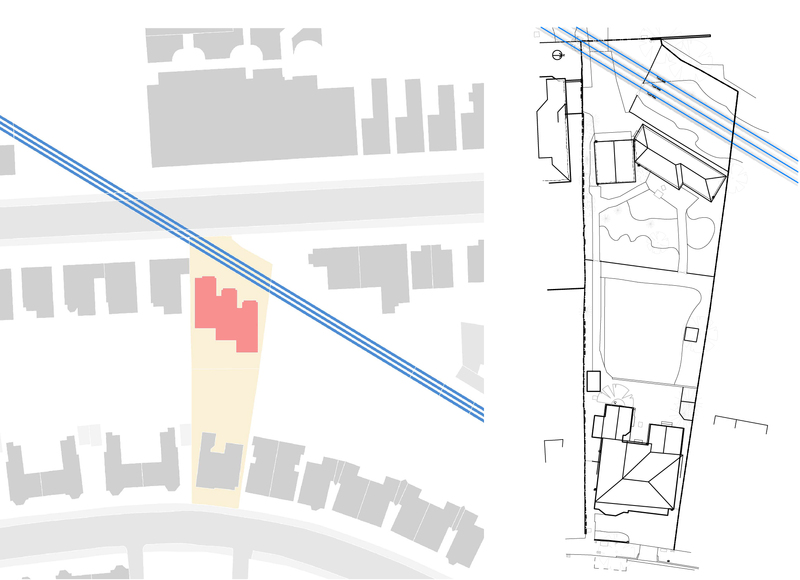 The proposed houses had to be staggered in order to accommodate this constraint whilst avoiding impact on the daylight and sunlight received by the neighbouring property. The front part of the site is used to provide the required amount of car parking and cycle storage. The site sits within a local area of special character and sits adjacent to a conservation area. As such particular care had to be placed on the design of the houses, using traditional features whilst creating three spacious modern family homes.